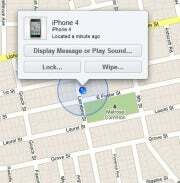 Apple hasn't cornered the market on a feature that allows you to find your smartphone if it's been lost or stolen -- Android and Blackberry handsets, as well as some other devices, can pull off the trick, too. 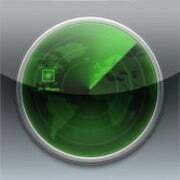 Several carriers offer services that are similar to the popular "Find My iPhone" app. They can help you track your device if a thief took it or locate your device if you dropped it between the cushions on your sofa. Here's a rundown of what's available for consumers. Its Total Equipment Protection app is available for customers who pay $8 a month, per line of service, for phone insurance. You can use it to locate your lost or stolen phone, sound an alarm on the missing device, lock the device and erase, sync, manage and restore contacts. The app works on many Android, BlackBerry and non-smartphone devices. To see which ones, visit Sprint’s Total Equipment Protection page and click on Get Started>>Supported Devices. Mobile Recovery is an extra benefit for Verizon customers paying $7 a month a line for phone insurance, a.k.a. Total Equipment Coverage. You can see a visual history of where your phone has been, and get directions to its location, sound an alarm to find it when you're within hearing range (and this works even if the phone is on silent or vibrate). Mobile Recovery also lets you remotely lock your phone and wipe your contacts. It works on many phones, including Windows Mobile, Palm devices and some non-smartphones. The FamilyMap app costs $10 a month to locate two phones or $15 a month to find up to five of them. You can see a map that shows the user's location and landmarks you define, such as your child's school, parks, or their friend’s house. You can also schedule and receive text and e-mail alerts. For instance, you could set it up to receive a text message at 3:30 p.m. every day to make sure your child arrived home from school. FamilyWhere is available in two flavors -- Check In and Locate. Check In is free and works by letting the phone user text message his or her location to any mobile phone on any network. Locate is a subscription service for $10 a month that lets you monitor up to ten mobile devices within the app or using a web browser. The Locate service, which is free for the first 30 days, also lets you schedule automatic location checks and get notifications by text or e-mail. While all these phone tracking tools are cool, they aren't your only options. PCWorld has reviewed other iPhone tracking apps that do things like snap a photo of the person using the device. And there are even Android apps such as Phone Control by LauCass that let you covertly track all sorts of activities from someone else’s phone. In addition to tracking location, it will forward to an administrator (or spy, depending on if the person with the phone being tracked knows the app is installed) text messages, phone call notifications and photos or videos taken by the monitored phone. And, having these apps at the ready offers real benefits. One example: According to The New York Times, a cashier had been taking a break near the entrance of a Manhattan handbag shop and watching videos on YouTube when a man came into the shop, pointed a gun at her, grabbed her iPhone and fled. An officer pulled out his iPhone, opened the "Find My iPhone" app, punched in the victim's Apple ID and quickly saw on a digital map that the robber was several blocks away. The officer pushed the "Play Sound" button on his phone and listened to see where the sound came from -- in this case from the right sock of a man standing 20 feet away.